I doubt if people know about Ghatsila very much. In fact when we think of touring somewhere or going for a holiday, then Ghatsila seldom makes a choice in our list of touring destinations. But since me and my husband have been to this place very recently, we know how beautiful a place Ghatsila is and how soothing the visiting spots there are. Let me discuss about them more over here. 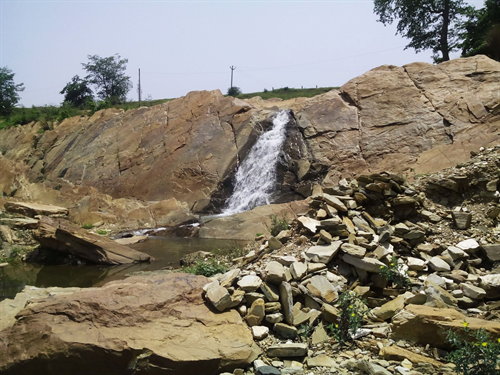 Ghatshila is located in Singhbhum district of Jharkhand. This small city is situated on the bank of the river Subarnarekha. The reason me and my husband chose to go to Ghatsila was that it is a very calm and peaceful place. 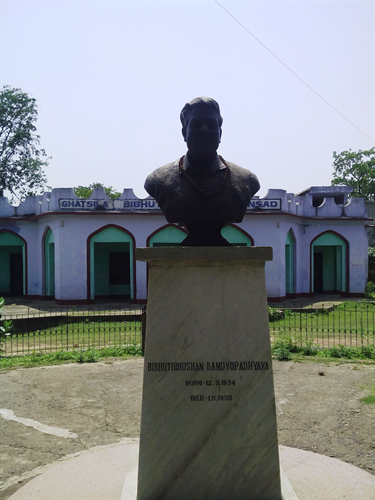 Also I do not know if people are aware of the fact that famous Bengali novelist Bibhuti Bhusan Bandopadhyay stayed in this city of Singhbhum for a long time. Many people choose to go to such places to get fresh air out of their city. We went to rejuvenate ourselves and have the taste of raw natural beauty. If people who are facing health issues visit Ghatsila for one or two weeks, then they will feel much better and healthier when they return home. We took the train called Steel Express at early in the morning. Ghatsila is an in between station of Steel Express from Howrah Junction. It takes around 3 to 4 hours at maximum to reach Ghatsila. after you reach there you just hire a tempo to find some nice hotels over there. Generally you would not find very luxurious hotels near the railway station. So better you try for good hotels in the interiors of Ghatsila. In fact one resort that I have personal experience of is Suhasita Resort. It is far away from the railway station. It is nice and cozy. In fact the resort has their own dining hall where you can have lunch or dinner. After you reach there, it would be better if you take your lunch or dinner(in case you reach Ghatsila in the evening) and take rest for the remaining day. You can keep the remaining day for marketing purpose as me and my husband did. When you have taken rest for half a day, then you feel nice and fresh in the next day. You get the whole day to tour Ghatsila. For touring Ghatsila you do not have any kind of Bus facility. It is a small town and you do not require big buses to cover the entire city. Some hotels provide their own private cars to tour the city. But let me tell you that these cars cost you a lot. So it will be better if you come in a large group and share the money of the private car. If you are not coming in a group then it is better that you hire tempos to tour the city. Next on the way we visited Gouri Kunj. This was the residence of Bengali novelist Bibhutibhusan Bandopadhyay. He stayed here until his untimely death. He survived his wife and newly born son in that house. Bibhutibhusan loved greenery. So rightly he chose the city of Ghatsila for staying with his family. The house has only one storey and now it has been renovated by Ghatsila government. You would see marble floors and well cemented walls in the house. This house is now called Bibhuti Smarak Bhavan. Few miles away from Gouri Kunj there is a library named after this Bengali novelist. The name of the library is Ghatsila Bibhuti Sansad. We took a picture there as well. Next we went to the Phuldungri hills or as the locals of that place call it Phuldungri tilla. It is not very far from the heart of the city. But the roads are not in a good condition. There are many pits and falls on the connecting roads. There are a lot of bumps while you go uphill. That is why going to each visiting spot took us quite an amount of time. Anyways, our tempo driver said that it is very difficult to go uphill and downhill on that tilla. It is because the pebbles strewn on the hills are hard to grab and very slippery. So, you must know the art to hold onto them. Otherwise you must climb up with a group to hold onto, when you have the tendency to fall. When you climb up you will a beautiful hide and seek between the tree leaves and sunlight. You need to walk straight for a while until you reach the top of the hills. It is beautiful up there. You can see quite an amount of the city from the hill top. Remember to climb down really slowly and steadily due to the pebbles. Rankini Mandir is a Kali temple. It is also known as Rankini Mata mandir by the local people. It was constructed by the king of Dhalbhum, Jagannath and was initially established at Galudih. Later on, the temple was shifted to Ghatsila town area. You can see the goddess from outside the temple. A lot of people contribute coins there to fulfill their wishes. Our final destination was Burudih Lake. Trust me it is best example of last but absolutely not the least. I am giving a picture over here from which you can imagine its beauty. 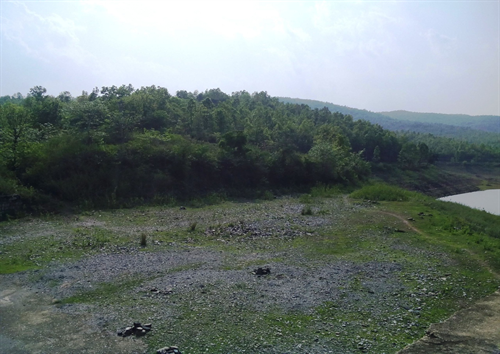 It is an artificial lake, around 10km from the heart of Ghatsila city. 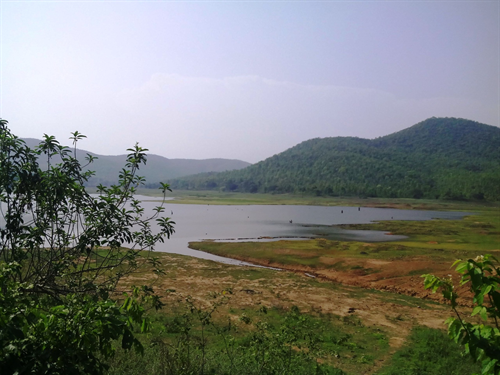 The lake evolves from the Burudih dam and the barricade gets its name from the lake. You have mountains and lake and a not so dense forest all together in the same arena. It is so quiet that you tend to feel very romantic in this silent beauty. You feel like singing and dancing and screaming in awe. Talking about screaming, try and scream really loud in from of the tree capped hills. The mountain range would revert to you with its effective but not so loud reverberation of your sound. In fact if you make it till sunset, I would request you to visualize it among the mountain ranges and enjoy the natural beauty. Finally after Burudih lake, you reach your hotel by the tempo you hired. For the next two days we took rest and visited the markets and other town areas nearby. Finally on the fourth day we left for our hometown. In conclusion I would like to say that, Ghatsila has its inherent beauty that you can enjoy and the calm and quiet that you can imbibe. Seldom people think of going to this place. Try this once and let me know your experience. Thank you for this post on Ghatsila.